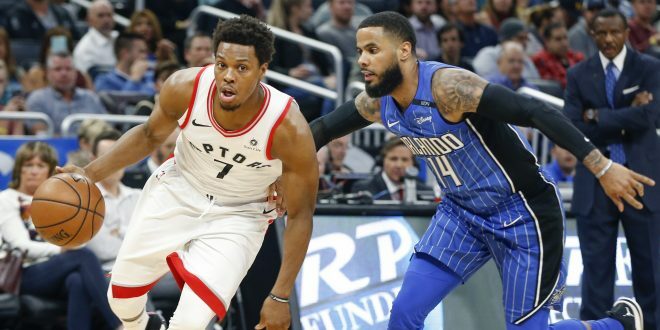 The NBA Playoffs tip-off this weekend showcasing the eight best Eastern Conference teams during the 2018-2019 regular season. 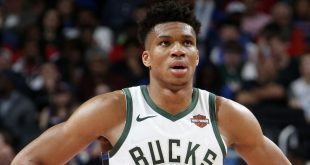 Giannis Antetokounmpo is the Kingpin of the Bucks, the East and the most efficient player in the NBA. A leader can’t lead without a team. Khris Middleton is a prolific sharpshooter, Eric Bledsoe is the play-maker and Brook Lopez has the experience. Middleton (18 ppg. ), Bledsoe (15.9 ppg. ), and Lopez (12.5 ppg.) all average over 12 ppg. Malcolm Brogdon and Nikola Mirotic will be absent due to injury. The Bucks are by far favorites in this match-up. Milwaukee has the NBA’s no. 1 defense and no. 3 offense and have won 19 more games than the Pistons this season. Blake Griffin is marked as day-to-day, but he’s likely to start and lead his team given the importance of this stage. Luckily for the Pistons, the squad around him is fit. Andre Drummond leads the NBA in rebounds and averages 17.3 ppg. Reggie Jackson supports the two big men by averaging 4.2 apg. and also putting up 15.4 ppg. Blake Griffin will combine his experience and power to try and defeat the “Greek Freak” in this early stage of the competition. Tip-off for game 1 begins Sunday @ 7:00 p.m.
Our first game of the playoffs is on the road tomorrow! Watch the game with us at our Watch Party (pres. by @budweiserusa)! The Toronto Raptors had a phenomenal regular season finishing in second place with a 58-24 record (.707). Kawhi Leonard was the lead scorer for the Raptors this season with 26.6 ppg. Pascal Siakam, Serge Ibaka and Kyle Lowry all averaged over 14 ppg. Ibaka led the rebounds for the team with 8 rpg., while Lowry led assists with 8.7 apg. The Raptors were exceptional in the fast break this season finishing fourth in fast break points in the NBA. The Magic need to be careful after halftime. 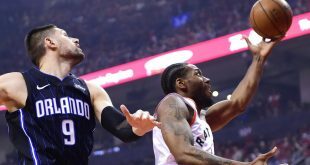 Toronto had the league’s second best plus-minus in third quarters. The Orlando Magic finished as the seventh seed but don’t let that distract you from their late regular season accolades. Coach Steve Clifford was named Eastern Conference Coach of the Month for March/April. Clifford polished last season’s 25-57 record (.305) to a 42-40 record (.512), a 17-win improvement, which was the second-biggest improvement in franchise history. The Magic is heading in with a 4-game win streak (best in the East) to the playoffs and this will be it’s first participation since 2012. Nikola Vucevic led the scoring and rebounds for Orlando during regular season earning 20.8 ppg. and 12 rpg. Aaron Gordon (16 ppg. ), Evan Fournier (15.1 ppg.) and Terrence Ross (15.1) all average over 15 ppg. Tip-off for game 1 begins Saturday @ 5:00 p.m. 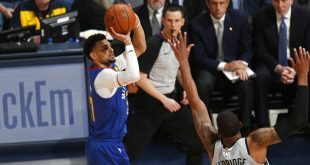 The Philadelphia 76ers are back in playoffs for the second season in a row and are looking to better its Eastern Conference Semi-final finish from last season. The Brooklyn Nets are not just happy to have reached this stage, but also looking ambitious. It’s been 35 years since these two teams met in a playoff game. Joel Embiid is Philadelphia’s main man. Embiid is ranked second in rebounds per-game (13.6) and fourth in points per-game (27.5) in the NBA this season. 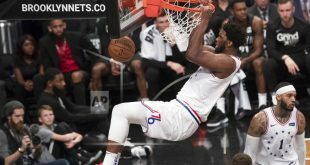 According to CBS, it is likely that Embiid will miss game 1 of the series. You would think this is a big blow for the Sixers, but it’s just a small dent once you look at the rest of the team’s performance during the season. Tobias Harris averaged 20 ppg. and 8 rpg. Jimmy Butler averaged 18.7 ppg. and 4 apg. JJ Redick averaged 18.1 ppg. Ben Simmons who is day-to-day averaged 17 ppg., 8.8 rpg. and 7.7 apg. The Brooklyn Nets might be feeling good about this match-up knowing that both Joel Embiid and Ben Simmons on day-to-day. Like the Sixers, the Brooklyn Nets also have a couple of players on day-to-day, but chances are they will play. Demarre Carrol will be coming back from a wrist injury and Joe Harris will be fit after an injury scare regarding his foot. Nevertheless, with the likes of D’angelo Russel, Spencer Dinwiddie, Caris Levert and Jarrett Allen, the Brooklyn Nets might have a chance to reach the semi-finals. Tip-off for game 1 begins Saturday @ 2:30 p.m.
Before Victor Oladipo’s injury this game might be seen as a more even match-up. In Nov. 3, Oladipo was the powerhouse that took the Celtics down scoring 24 points, gaining 12 rebounds, 3 assists and steals. In Mar. 29, the Celtics went on to win by 27 points in TD garden. Kyrie Irving went off scoring 30 points. Without Oladipo the chances for the Pacers to go through to the next round are almost obsolete. Tip-off for game 1 begins Sunday @ 1:00 p.m.